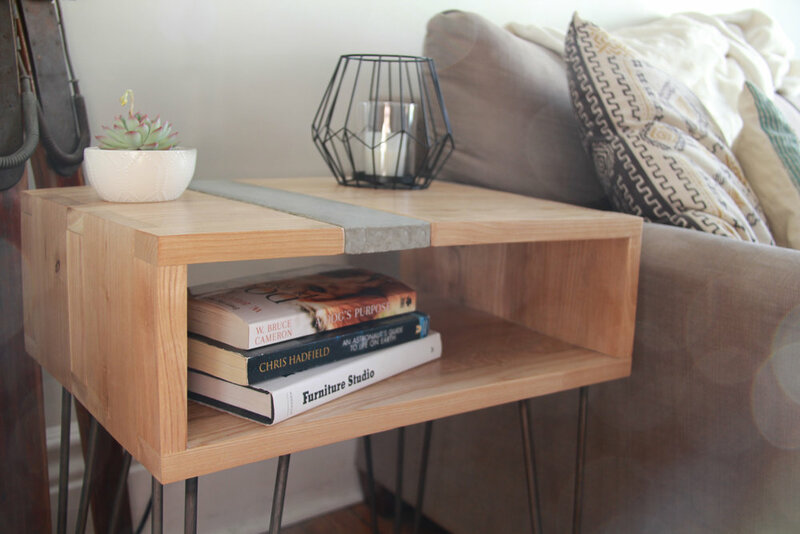 This concrete and ash accent table and matching lamp were created for an Ottawa client. An interesting contrast is created by pairing the warm natural wood tones with the cool imperfections of the cast concrete. Finished with bees was and given simple hairpin legs.